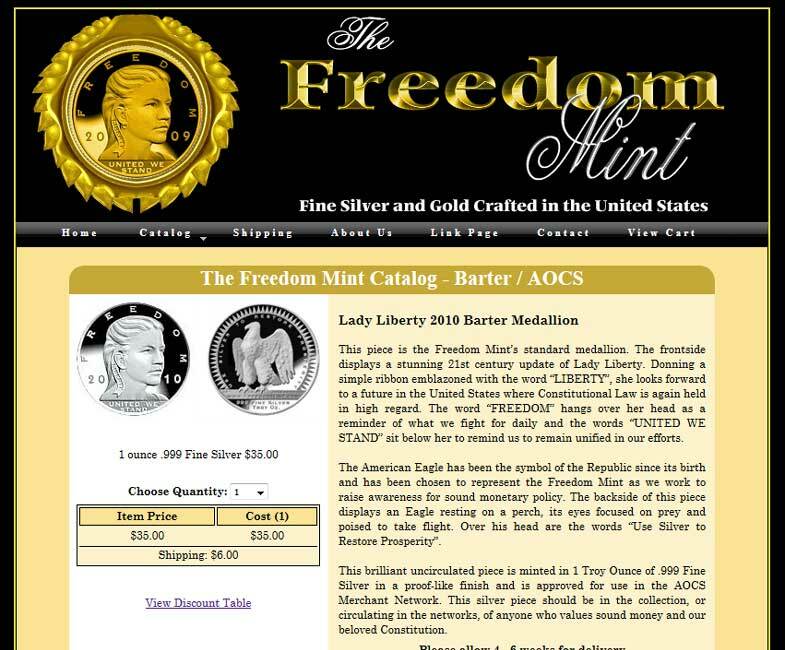 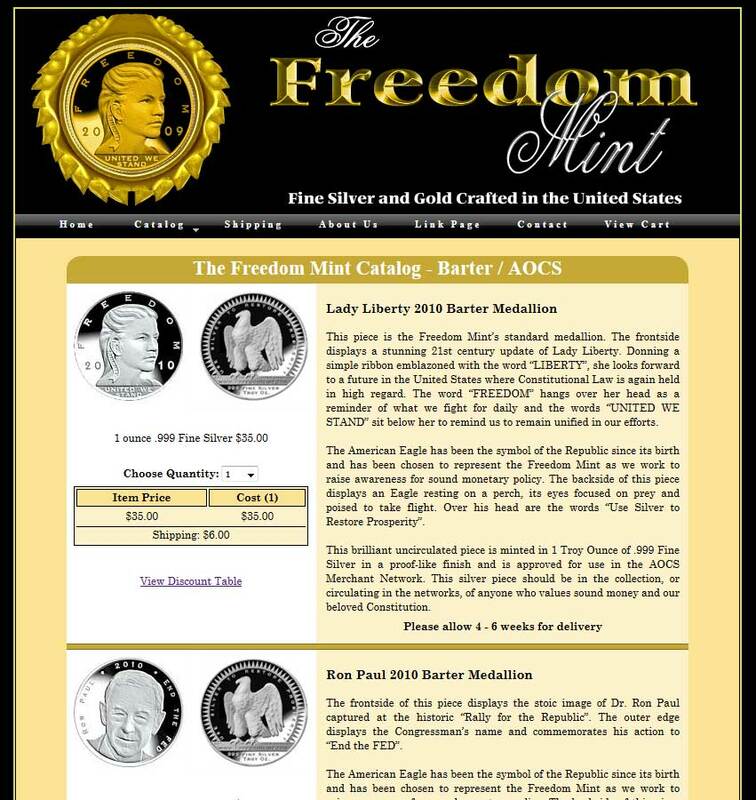 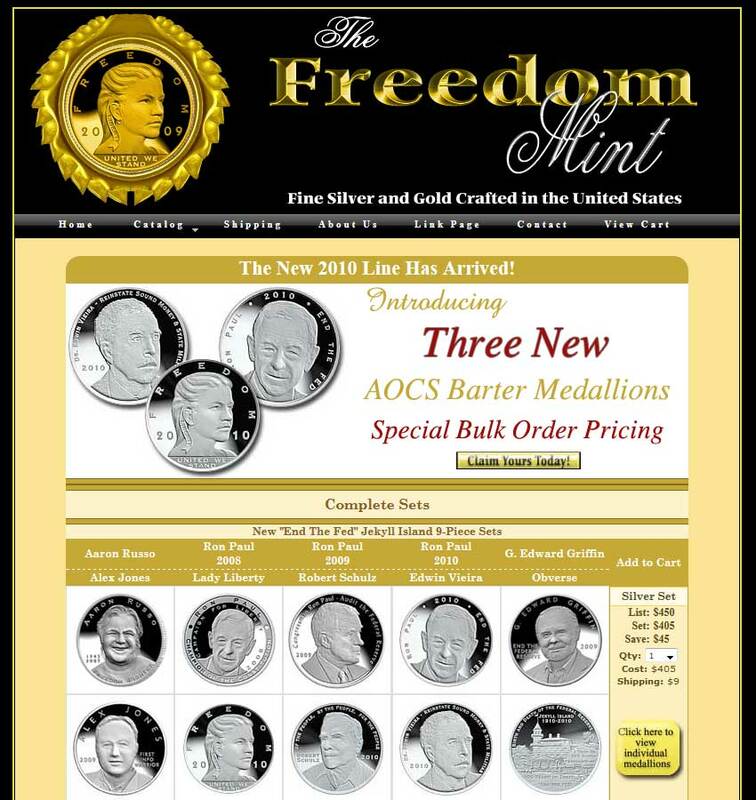 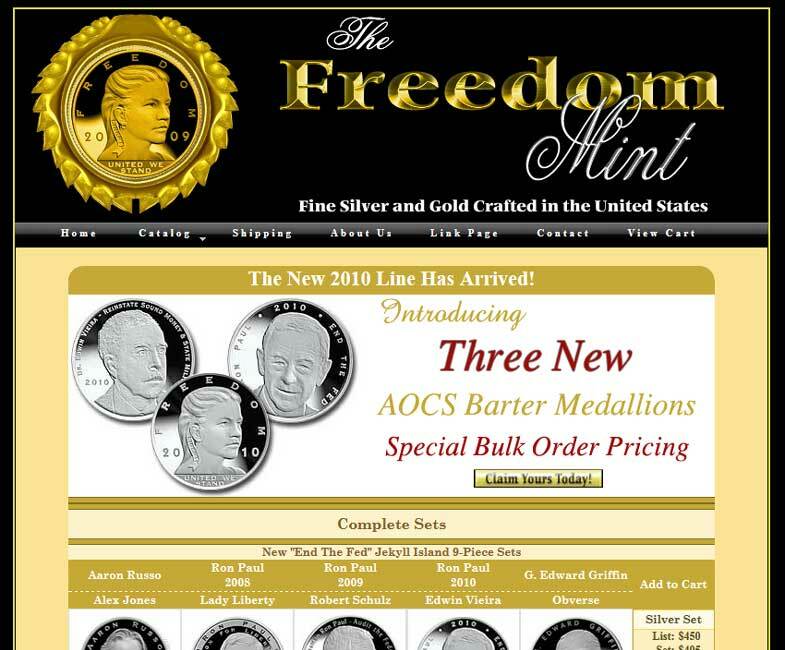 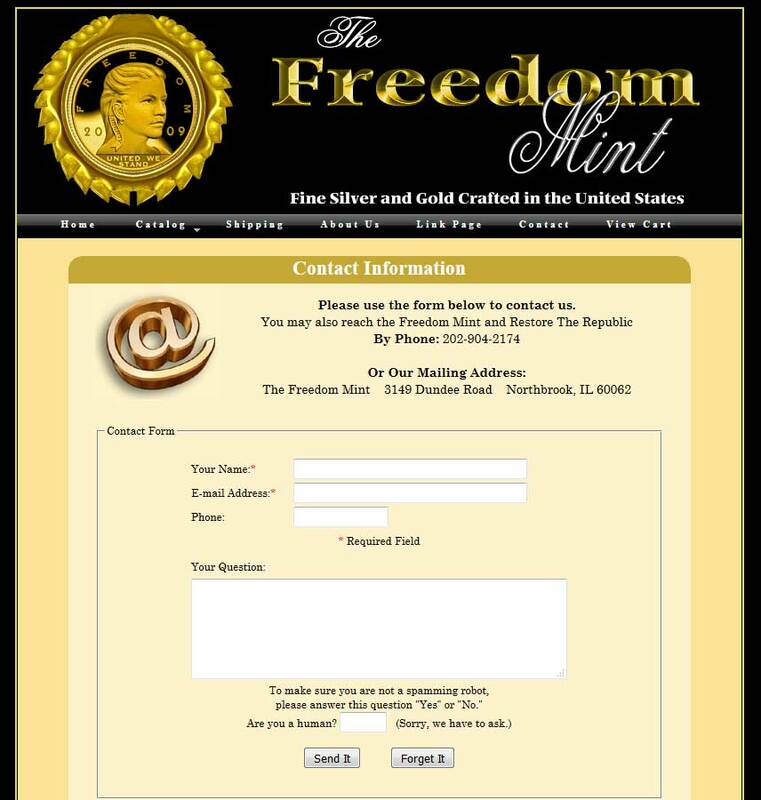 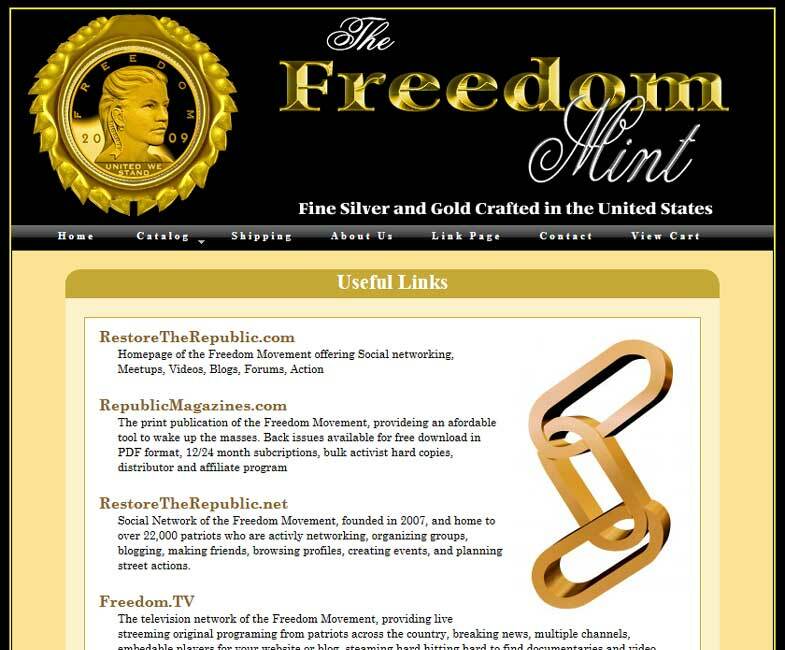 The Freedom Mint sells commemorative gold and silver coins to help fund a non-profit organization. 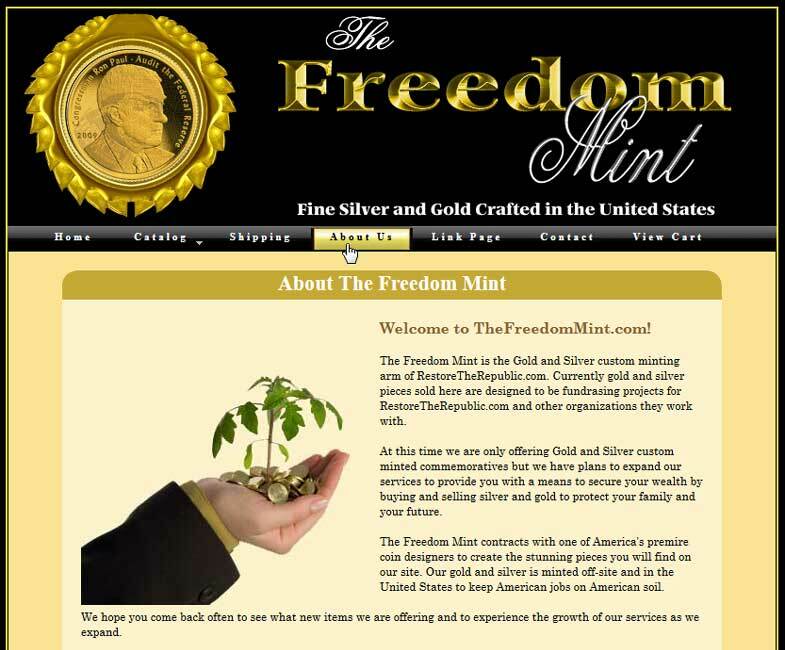 Complimentary page colors give the site a pleasing feel, while the black header background serves to provide a stark and complimentary contrast to the gold and silver lettering and graphic. The site features a PayPal shopping cart, and a safe and secure message contact form. 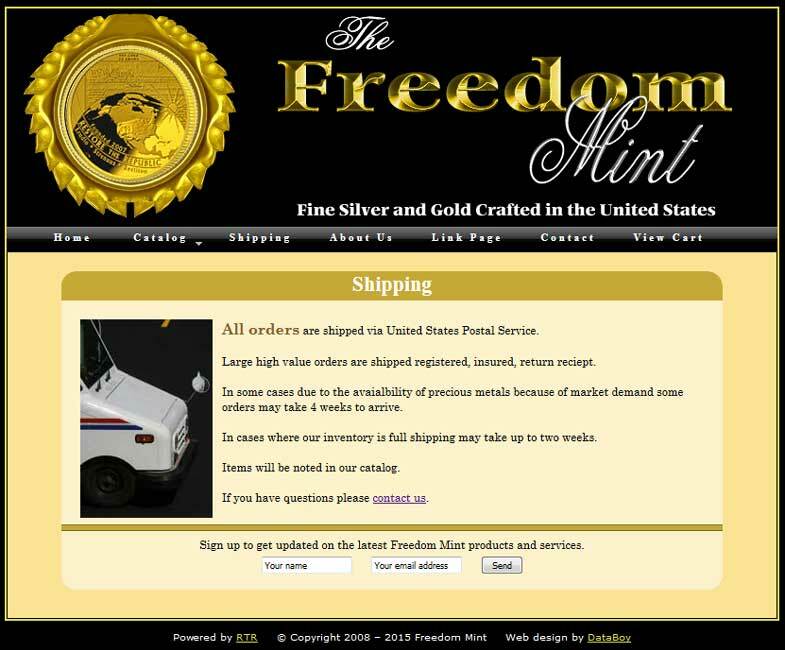 Although some tables were utilized, the majority of this site uses CSS for style as well as structure.